MyFerryLink was an English Channel passenger and freight ferry company which began operating between Dover and Calais in August 2012. It was formed following the liquidation of SeaFrance. The assets of Seafrance were purchased by Eurotunnel who in turn leased the ships to a workers’ co-operative, Scop SeaFrance, who operated the company’s sailings between Britain and France and employed all the on-board staff. 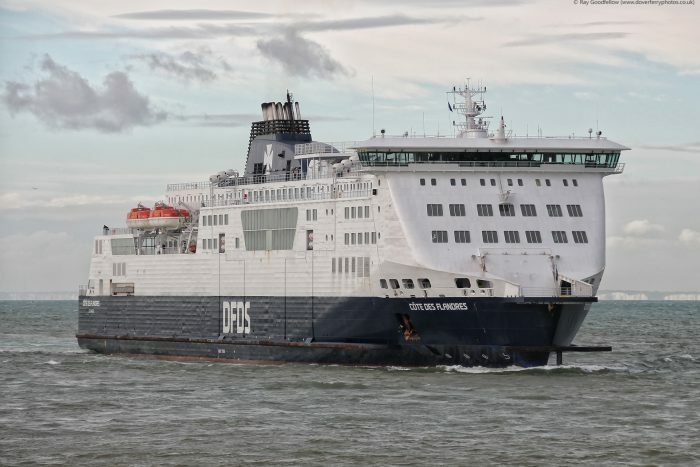 On 8 June 2015, Eurotunnel tired of the continuous fights with the competition authorities decided their lease of the ships to Scop SeaFrance would end on 1 July 2015, and they announced they would not extend it, and instead had entered a lease-buy deal for DFDS to acquire the ships. MyFerryLink workers went on strike on 1 July 2015 in protest against expected job losses. MyFerryLink services ceased at midnight on 1/2 July.